Since Thomas Phelps Bates began his career at a leather goods factory more than 35 years ago, T.B. PHELPS has been dedicated to hand-crafted bags, belts, and shoes that pay homage to classic American styles of dress. Much of the footwear offered by T.B PHELPS, such as saddle shoes, bucks and drivers, are great additions to your wardrobe if you are going for a preppy or Ivy League style of dress. 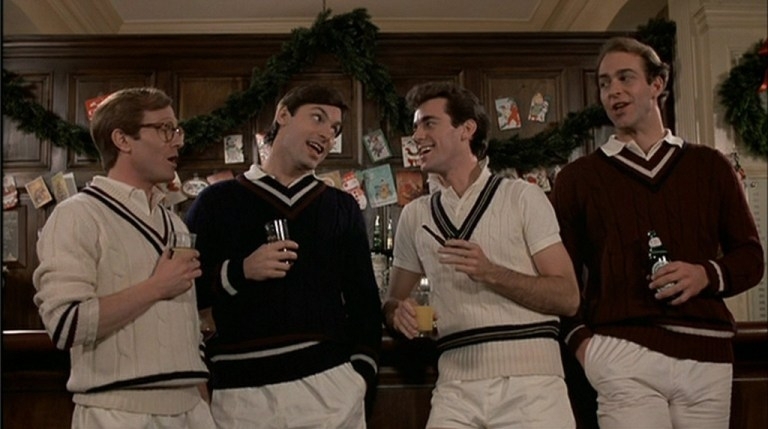 The preppy style is known for its clean and colorful look, and it first emerged around 1910. 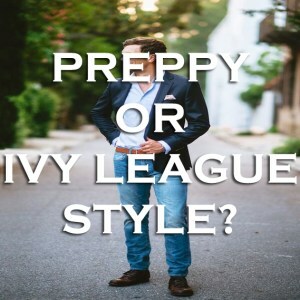 Ivy League style is a bit more refined and dressy than the nautical roots of preppy style. The Ivy League Style came to life in the 1950s across some of the nation’s best college campuses. People were looking for more elegant and formal clothing that could still work in casual situations at Ivy League universities and the surrounding communities. Both styles were fueled by manufacturers and designers who were looking to reflect their favorite pastimes like sailing, fencing, rowing, golf, or polo. Brooks Brothers and J. Press opened up shops by the mid-twentieth century at Harvard, Princeton and Yale that helped shape the clothing subculture. By the 1980s, many designers were caught up in producing attire that meshed pastel colors with nautical and equestrian elements. Both the Ivy League style, and to arguably a greater extent, the American preppy style, have now made their way across the globe. The preppy style became popular due to its ease of adoption and how versatile it can be for men of many different lifestyles. Bold colored chinos, navy blazers, and polo shirts are some of the most well-known sartorial options associated with a preppy style. Depending on the weather, sweatshirts and tweed clothing could also make an appearance. In general, a New England preppy style will feature darker and more muted colors, and draw heavily upon sailing or a country club culture. Brands that often are popular are LL Bean or Brooks Brothers, while a more Southern preppy style usually includes more Vineyard Vines or Southern Tide. 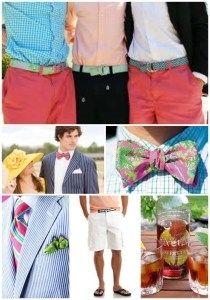 Overall, Southern preppy style generally contains more loud pastel colors and more shorts due to the warmer climate. No matter the style, shoes are one of the most iconic parts of a preppy or Ivy League style outfit. Brogues, drivers and loafers are some of the most popular choices. Today, there is a renewed attention on to classic American shoes, especially those which are hand crafted from genuine American leathers, such as Bison, Elk and fine cowhide. T.B. PHELPS offers a number of classic saddle shoes and bucks that draw upon iconic styles of yesteryear. The shoes are a great addition to a preppy or Ivy League wardrobe, and can be used in formal and casual situations. We also stock a wide range of loafers, which are pretty much synonymous with a coastal culture. Our slip on and driver shoes are handsewn and incorporate cushioned insoles and horsebit ornaments. If you’re interested in classic American clothing, make sure to check out the variety of footwear, belts, and accessories by T.B. PHELPS. Almost all of our leather is American grown, and we also support only fair labor production. Our footwear is a great choice for men to round out an Ivy League, Southern preppy, or New England preppy wardrobe.